Foreign policy stands for national stance towards sovereignty, national pride and socio-economy. It is a strategic asset which operates in the complex orbit of power politics. It gives directions to extend courtesy and co-existence. Undoubtedly, it is the reflection of indigenous collective wisdom and national resistance against any aggressor in the times of crises. Right from the beginning, United Arab Emirates (UAE) maintained its 3Ds foreign policy i.e. dialogue, diplomacy and development. Now, its involvement at the regional and international levels signifies a growing prominence in the international community. Since its inception, striving for peaceful and friendly relations with all countries, being a good global citizen and responsible member of the international community, and always being ready and willing to help those less fortunate has been cornerstone of its foreign policy. His Highness Sheikh Zayed bin Sultan Al Nahyan, and under the presidency of His Highness Sheikh Khalifa bin Zayed Al Nahyan achieved extraordinary mileage in the field of foreign policy. The world witnessed different gargantuan encounters during the last decades. Even Arab world was caught in the line of fire. Widespread political uncertainty, societal unrest, deteriorating law and order situation and above all economic meltdown succeeded to reshape the political landscape in the region. In the periods of chaos, disappointment, destruction and deterioration, the UAE stood tall and led the regional countries towards sustainable political dialogue, diplomacy, and conflict resolution. UAE sincerely offered its diplomatic support to restore security, social and economic development process and stability in these countries. Its combined efforts brought normalcy in Tunisia and Algeria. Its political wisdom saved millions in Sudan and Libya. Its diplomatic efforts brought peace in Egypt. All in all, its coordinated preventive diplomatic efforts were one of the key factors in controlling collateral damage in the GCC and MENA during 2011 and beyond. UAE along with Saudi Arabia played supportive role in Syria to stop ongoing socio-politico saga. It tried its levels best to convinced Syrian government for the carrying out of meaningful political dialogue and reforms to fulfill the aspirations of its own people. In Gulf Cooperation Council (GCC), UAE successfully protected the sovereignty of Bahrain by sending martial troops in its time of national crisis under the GCC Peninsula Shield Force Charter. UAE strongly denounced foreign intervention in the Bahrain and honestly supported dialogue process. UAE played facilitating role to bring a peace in Yemen. UAE reaffirmed its commitments for the progress and prosperity of the people of Iraq through comprehensive national reconciliation without any discrimination. It also reiterated the necessity to respect the territorial integrity, sovereignty, independence of Iraq, and furthermore, safeguarding its Arab and Islamic identity. UAE supported the efforts of the Lebanese government towards achieving security, stability and national unity. It called for respecting the sovereignty of the Lebanese state and for ceasing the repeated Israeli violations of the Lebanese airspace, waters, territories and regional safety in accordance with the Security Council Resolution 1701. Its dynamic foreign policy and political wisdom to resolve conflicting realities through dialogue gained immense diplomatic support throughout the world for its principal stance on its three islands, Abu Musa, Greater and Lesser Tumb occupied by Iran since 1971. UAE is ready to resolve the issue through bilateral negotiations or through referral to the International Court of Justice. Most recently, Arab and European Foreign Ministers reiterated their support to UAE towards finding an amicable solution in accordance with the international law whether through direct talks or referral of the issue to the International Court of Justice (ICJ). UAE has been supporter of Palestinian people. It expressed its full support for the Palestine Authority in its attempt to obtain membership of the United Nations. UAE initiated Arab Peace drive for achieving a peaceful settlement of the Israel-Palestine issue based on the relevant international resolutions that will lead to a just and lasting peace and to the establishment of a Palestinian state with Jerusalem as its capital. Commercial diplomacy has been one the key factors of its foreign policy. Many regional and international monetary agencies appreciated its stable and sustainable socio-economic development in the country and around the region at large. UAE principal position on piracy, terrorism, climate change and human rights received great support from UNO and other related governing bodies. Its rational approach towards relations with Iran, the Iranian nuclear program as well as the widening conflicts in Lebanese, Sudanese, South Sudanese and Somali lessened human miseries. Its increasing commercial ties with Japan, China and South Korea has already increased volumes of bilateral trade and inflows of foreign direct investments in the country. Its joint ventures in Latin American countries further strengthened its position at international markets. Its lavish investments with a “human face” in African continent lessened ratios of alarming poverty and employment. Moreover, its aggressive and comprehensive commercial diplomacy succeeded to win many regional and international slots. Establishment of International Renewable Energy Agency (Irena) and hosting of World Economic Forums and Energy Conferences in the country on regular basis, all verify its active and participatory foreign policy. UAE peaceful endeavors in the region lessened human melancholies. It instrumented to bring sings of hope, life, comfort and dignity in the perturbed parts of the world ravaged from unending political divide, inhumaneness of ethnicity, clan conflicts and the last but not the least, natural catastrophe. UAE peace missions played tremendous work in Bosnia, Somalia, Afghanistan and Sudan in the umbrella of UNO. In Afghanistan, UAE provided over US $ 1.5 billion dollars over the last decade for rehabilitation and reconstruction programs. It built schools, health clinics, roads, bridges, community centers and mosques. Humanitarian assistance has been one of the salient features of the UAE foreign since 1971. UAE government, charities and its people generously sponsored different humanitarian assistance programs around the globe. It extended humanitarian assistance related activities in Australian, New Zealand, Palestine, Libya, Iraq, Yemen, Sudan, Bosnia and Herzegovina, Thailand, Afghanistan and the last but not the least Pakistan. UAE is now the second largest non-DAC donor of humanitarian aid since 2004. UAE has managed to raise its international profile to become among the most active members of the international community at many levels, particularly as an aid donor. According to UAE foreign Ministry Web, UAE contributed more than Dh255 billion (US$70 bn) in loans, grants and assistance for development projects in nearly 100 countries around the world. While much of the assistance is provided on a government-to-government basis, the country is also a major contributor to international agencies, having made Dh100 billion (US$27 bn) available through the International Monetary Fund and the World Bank. UAE has established a new body i.e. Foreign Aid Coordination Office (FACO) to coordinate all the humanitarian efforts undertaken by the UAE. Abu Dhabi Development Fund, the Khalifa Charity Foundation, the Red Crescent Society, the Mohammad bin Rashid Al Maktoum Charity and Humanitarian Foundation, Noor Dubai Initiative are rigorously engaged in different parts of the world including Pakistan to bring change in the lives of distressed populace. Right from the beginning, the visionary leadership of the United Arab Emirates institutionalized policy of interfaith harmony in the country. Now, it has a diversified society consisting of more than 200 nationalities. It has become hub of culture diversity. Even no policy has been introduced to discriminate any religious affiliation, caste, creed or colour since its inception. Everyone is equal before the law. The tolerant interfaith policy adopted by the UAE under the wise leadership of President His Highness Sheikh Khalifa bin Zayed Al Nahyan has drawn praise from the Coptic Orthodox Church of Egypt. Minister of State for Foreign Affairs Dr Anwar Mohammed Gargash strongly condemned the EU Parliament recently issued resolution concerning the detainees, conditions of foreign labour, conditions of the women in the UAE and death penalty in the UAE laws. The said resolution labeled as “biased and prejudiced. The facts given in the resolution was baseless and far away from the ground realities. UAE regional and international recognitions have already endorsed its firm believe in interfaith harmony, peaceful coexistence and the last but not the least, holistic approach towards foreign labour, minorities and comprehensive social care and women’s empowerment. Every country has its own distinctive traditions, laws, rules and regulations which have to be observed to maintain security and stability. Women empowerment drive has achieved tremendous success. Now, women account for around 70 per cent of all university graduates in the country and fill around two thirds of government jobs. UAE has now four women members of the Cabinet and ambassadors. They are now air force pilots and armed forces recruits. UAE-based learning consultant Carol Talbot report (October, 2012) says more than 30 percent of firms in the UAE’s SME sector are owned by women. According to Ministry of Economy (September, 2012) Small and Medium Enterprises (SMEs) accounted for 60 percent to the nation’s GDP in 2011 which verified the active participation of women in the socio-economic development of the country. UAE foreign policy is based on justice, protection and respect of human rights. It cares human rights implementation in letter and spirits in the country. It promotes equality and justice among the people of the country. Its constitution guarantees the freedoms and rights of all citizens, prohibits torture, arbitrary arrest and detention. It respects civil liberties, including freedom of speech and press, peaceful assembly and association, and the practice of religious beliefs. Right from the beginning, UAE government is firmly committed to promoting in a constructive way the principles of the Universal Declaration of Human Rights. It is determined to improve its own domestic record and to make a positive difference at the global level. Minister of State for Foreign Affairs Dr Anwar Mohammed Gargash and Federal National Council (FNC) have already strongly rejected the resolution adopted by the European Union most recently about the so-called human rights abuse in the country. It has nothing do with the reality. Every migrant worker is given fair treatment and protection but he has to follow the rules and regulations of the country. UAE hosts more than 200 nationalities which is self-evident of its tolerant and human friendly policies. The latest report of the Abu Dhabi-based Arab Monetary Fund (AMF) showed remittances by the more than six million foreigners in the UAE were estimated at nearly $49.3bn during 2006-2010. It shows the level of economic liberalization, and business freedom to all the stakeholders in the UAE. Most recently, the UAE won the membership of the UN Human Rights Council for a three-year term starting from early 2013. The UAE got the highest 184 votes. Dr. Anwar Mohammed Gargash, Minister of State for Foreign Affairs, welcomed the UAE victory, saying:” The win crowned a series of achievements made by the UAE in its human rights record over the recent years, particularly in areas of legislations to uphold and protect fundamental freedoms and legal rights of individuals, rights of women and children and advanced regulations on rights of foreign workforce”. 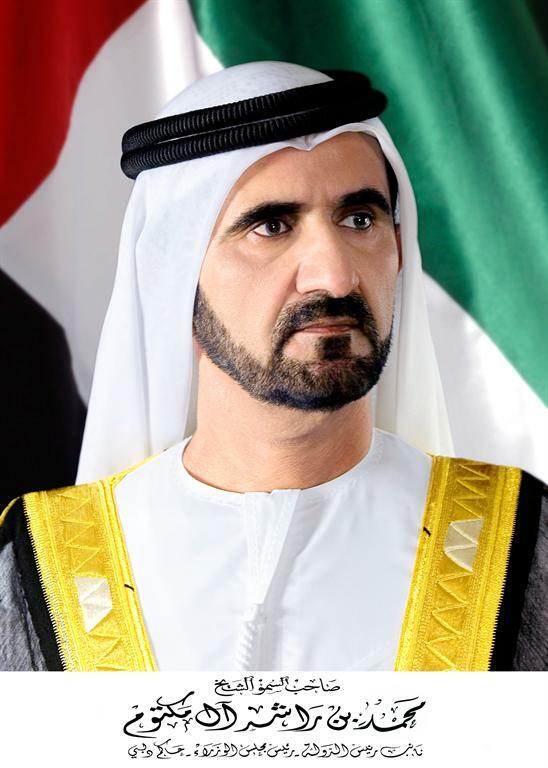 His Highness Sheikh Mohammed bin Rashid Al Maktoum, Vice President and Prime Minister and Ruler of Dubai, stressed that all children have the right to live a safe life in a stable environment. The cabinet has approved the issuing of a draft federal law on Child’s Rights. Even Arab League’s Deputy Secretary-General Ahmed bin Helli termed the parliament on ‘human rights violations’ in the UAE is unfair, pointing out that the European Union has its standards while the Arab countries have the Arab Charter for Human Rights. UAE is an independent sovereign country. It has one of the highest societal openness in the world. 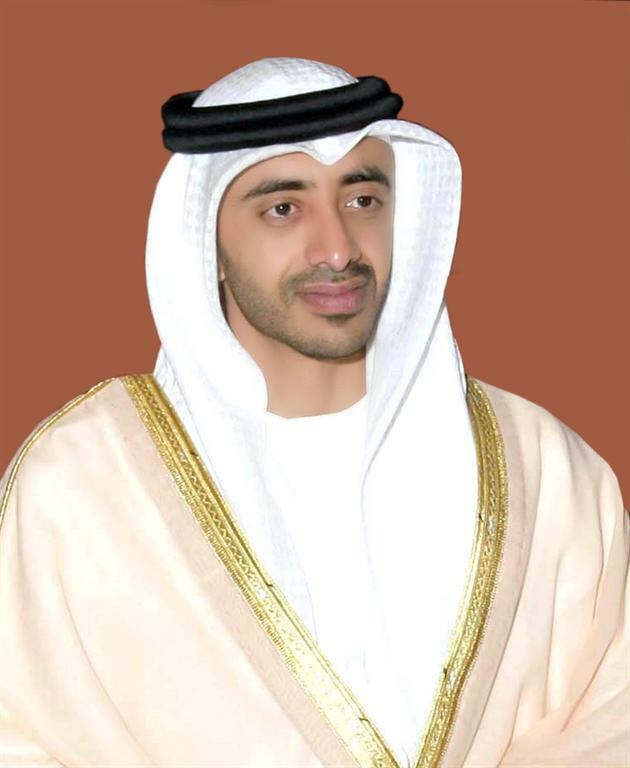 UAE Economy Minister Sultan bin Saeed Al-Mansouri said that the country’s economy grew by 4.2 percent in 2011. The UAE’s economy has achieved a real growth up to 4.2 percent in 2011 compared to 1.3 percent in 2010. The gross capital formation has recorded a growth of 14.8 percent at the end of 2011 compared to 2010. Its exports increased 30.7 percent in 2011-2012. GDP is expected to grow by 4.2 in 2012. It is expected that inflation would be between 1-1.5 per cent for 2012. According to the latest report of the UAE central bank (September, 2012) the real GDP growth is forecast to increase from 3.3 per cent in 2011 to 3.5 per cent in 2012 and to 6.4 per cent in 2016. Moreover, the non-oil GDP has shown very impressive recovery from an estimated one per cent in 2010 to 6.7 per cent in 2011. On the other hand, construction and real estate are showing positive development. According to a World Bank report (September, 2012) indicates that supply chain and logistics sector has increased its contribution in GDP i.e. 14 percent. International Institute for Management Development (2012)	Cyber Security &1st regionally and 4th globally. UN e-Government Readiness Survey (2012)	UAE 21 in global rankings. It placed the UAE at 28th place in 2010. The World Economic Forum (WEF) 2012	Global Enabling Trade Report &1st regionally and 11th globally in terms of in terms of the availability and quality of transport infrastructure. World Bank’s World Governance Indicators (2011)	UAE legal and regulatory environment ranking at par excellence. United Nations Conference on Trade and Development (2012)	It also emerged as the second recipient of FDI in the region attracting nearly $85.4 billion. Right from the beginning, the successive leaders have been successfully institutionalized the economic diversification drive. It followed and implemented effective economic policies and financial reforms to achieve further economic diversification. It announced technical course in its educational sector which facilitated the process of economic diversification. It invested billions of funds in the different mega infrastructural projects which are now contributing in the national economy of the UAE. It harnessed service sector including tourism, real estate and hotel industry. Moreover, soft image companies are making handsome revenues and further speeding up its economic diversification drive. In recent months, the UAE government announced many meaningful policies for the rapid growth of Small and Medium Enterprise (SMEs). Now, SME is one of the most productive sectors of its economy and its contribution to GDP is on the rise. Aviation, Islamic banking and insurance industry have increased its share in the GDP %. Engineering, manufacturing, alternative energy resources/industries and agro-based smaller industries have the huge potential to strengthen the high levels of further economic diversification. According to UAE Economic Ministry (October, 2012) although oil is one of the main sources of national revenues and GDP, petrochemical, steel and aluminium sectors are also contributing substantially in the overall GDP. Re-exports and soft image exhibitions corporations are making inroads in the UAE GDP. Gradual but constant economic diversification has opened new avenues for investment in the UAE with the non-oil sector contributing to 71 per cent of the UAE GDP in 2009. UAE’s sustainable growth model stands for its core focus on the industries of the future i.e. transport logistics, hospitality, tourism and renewable energy resources. In this connection, UAE economic department report (September, 2012) also says that the contribution of oil in Abu Dhabi’s GDP dropped to 49 percent in 2009 due to sharing by other economic sectors that include manufacturing, agriculture, education, health, transportation and financial services. It is hoped that steady progress of its diversification drive would further lessen the oil contribution to its GDP in the years to come. Abu Dhabi Chamber of Commerce and Industry report (2012) indicates Abu Dhabi’s private sector has steadily grown over the past years to reach nearly a third of the emirate’s GDP and largely surpass the government sector. It would grow by around 6.4 per cent in 2012 while the non-oil government is projected to expand by 5.5 per cent. It showed that the private sector’s contribution to GDP was estimated at around Dh218 billion in 2011 and is forecast to climb to Dh232 billion in 2012. The report further said that the non-oil government sector stood at about Dh126 billion and could swell to nearly Dh133 billion in 2012. The report indicated that the overall real GDP is projected to rise by nearly 8.5 per cent to a record high of around Dh750 billion in 2012 to maintain the emirate’s position as the largest UAE economy, controlling over 60 per cent of the country’s GDP. Moreover, a breakdown showed services sectors will grow by around seven per cent to Dh244 billion in 2012 from Dh228 billion in 2011 while non-oil productive sectors will increase by 4.5 per cent to Dh161 billion from Dh154 billion. The Federal Customs Authority (FCA) also said that the UAE non-oil foreign trade maintained a sturdy year-on-year growth of 11.5 per cent till last October. FCA preliminary statistical data confirmed that the value of the country’s non-oil foreign trade during the first ten months of 2010 jumped by Dh62 billion to Dh605.4 billion from Dh543.2 billion in 2009. The Abu Dhabi Economic Outlook Report, (2012-2016) expects healthy contribution of the private sector in the years to come. The Outlook suggests Abu Dhabi real GDP growth of about 3.9% in 2012, and assures that the economy will continue to grow in subsequent years, achieving an average annual growth rate in the range of 5.7 percent during the period 2013-2016. It forecasts non-oil real GDP growth of 5.5 percent in 2012, supported by the implementation of projects in the public and private sectors. It is hoped that further diversification drive would be useful for the national economy during 201-2012. World Economic Forum (2011-2012) says UAE is now among the top 20 nations in the world in terms of trade, which is a truly great achievement, considering the size of the country and its population. 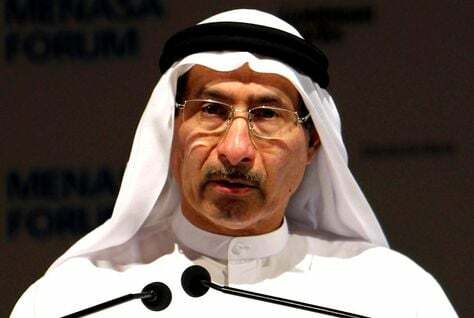 UAE is now focusing to further increase its trade ties with China, South Korea, Japan, Russia, India, the EU, other Arab countries, as well as the GCC and the last but not the least, looking for business partners in Africa (East Africa, South Africa and the West African nations) and Latin America to further strengthening of its macro-economy through consolidating economic diversification. According to the official data, by virtue of economic diversification, UAE achieved 12.5 percent growth in its aviation sector in the last year. It registered 80 percent increase in trade related activities. It secured more than 22 percent rise in foreign trade. The report further said that the UAE achieved 45 percent and 26 percent in its exports and re-exports respectively. In recent times, massive industrialization process and setting-up of manufacturing units have been areas of particular focus in Abu Dhabi. The Khalifa Port and Industrial Zone (KPIZ) are the systematic way forward to achieve further economic diversification. It covers 100 km2 in the first phase. It would serve several industrial sectors including base metals, heavy machinery, transport vehicle assembly, chemicals, shipyards, building materials, processed foods and beverages, medium and light industry, small and medium industry, trade and logistics, information and communication technology, and clean technology and alternative energy. It is hoped that it would be home to the Mubadala and Dubal aluminum smelter as well as a steel mill. The port and industrial zone are expected to increase the trade volumes entering the emirate, with the Abu Dhabi Ports Company predicting a compound annual growth rate of 12 percent. It has led to predictions of 20.66 million tons of general cargo by 2015 and 29.8 million tons by 2020. Most recently, UAE has further consolidated its economic diversification drive. Fujairah one of the seven emirate has built the biggest textile factory in the Middle East. Its producing capacity is 10,000 tonnes of cotton per annum. The project was built at a cost of Dh225 million (US$61.2m) by the Azerbaijan government, in partnership with Fujairah Government. It is indeed a giant step in further diversification of the UAE economy. It has a capacity of 45,600 spindles. It is 44,250 square metre factory which is estimated to make Dh140m in sales per year, employs a workforce of about 225 people. The yarn will be used as a raw material for industries such as clothing and garment-making, as well as knitting furniture fabrics. It will be exported to markets in Asia, the United States, North Africa, Europe and the Middle East. Latest reports of the International Monetary Fund (IMF), World Bank (WB) and other regional banking and financial institutions strongly highlight the excellent soundness of UAE banking and financial systems. Despite banks and financial institutions around the globe have been at their lowest ebbs since 2009, banking and financial systems of the UAE has succeeded to marginalize the bad effects of it. It is strong and stable. It is restructured and resilient. Timely effective policy measures of its central bank successfully lessen the bad ramifications of the regional turmoil and global economic recession and financial crunch. Current published report of its central bank showed deposits at the UAE banks increased 1.1percent during the August 2012 to reach at Dh1.127 trillion. Total bank assets increased by 0.5 per cent to reach Dh1.733 trillion. In this connection, the Institute International Finance (IIF) report indicates that UAE banks emerged as the strongest financial institutions in the GCC in terms of capital adequacy. The report observed capital adequacy in the UAE, which controls the largest Arab banking system by assets, stood at as high as 20.8 per cent at the end of 2011. QNB report (2012) also endorses that the UAE banks have the largest share of banking assets in the GCC that increased by 8.9 percent in 2011 to US$1.46 trillion, equivalent to 106 percent of regional GDP. Moreover, the UAE banks account for 31 percent of the total assets in the GCC. The report indicated that the UAE has the highest level of domestic loan penetration, 78 percent of GDP, primarily as a result of extensive lending to all the productive sectors of the economy. The recently published report of the National Bank of Kuwait, NBK also endorses this view. According to central bank annual report (2011), its total foreign currency assets increased from AEDs 153.4 billion in 2010 to AEDs 169.4 billion in 2011. Its investments abroad in highly rated securities, government bonds and treasury bills surged to AEDs 68.4 billion in 2010 to AEDs 72.3 billion in 2011. Deposit account, cash with banks abroad and loans to banks against certificate of deposits registered upward development from AEDs 47.8 billion in 2010 to AEDs 59.0 billion in 2011. Its investment in local government bonds remained unchanged i.e. from AEDs 36.7 billion in 2010 to AEDs 36.7 billion in 2011. Central bank other foreign assets grew from AEDs 0.5 billion in 2010 to AEDs 1.4 billion in 2011. Last but not the least, its earnings for the year from treasury operations increased from AEDs 1.2 billion in 2010 to from AEDs 1.3 billion in 2011. UAE central bank (October, 2012) says UAE banks, control the biggest asset base in the Middle East, boosted their net income by nearly 18.2 per cent in 2011 as they continued to pull out of the throes of the 2008 global financial distress. From around Dh22.5 billion in 2010, the net profits of the country’s 23 national banks and 28 foreign units registered increase nearly Dh26.6 billion in 2011. It was because of the increase mainly driven by a 3.8 per cent rise in banks’ net interest margins and a decline by around 6.9 per cent in interest expense. Due to its prudent banking reforms and financial policies the UAE banking system was able to maintain sound levels of profit even during periods of stress. Islamic Banking is also making its inroad in the domestic banking and financial systems of the UAE. National Bonds Corp, Dubai is of the opinion that Sharia compliance has been the number one driver of choice of savings instruments among Emiratis and Arab expats. The National with the Middle East Investor Relations Society (Meirs) concludes that UAE has emerged as the leading financial centre in the GCC. The financial hubs in Abu Dhabi and Dubai scored 35.5 out of a possible 50 points based on five key criteria used by Meirs to evaluate shareholders’ standing in the six GCC countries. The five key Meirs criteria are: the regulators; jurisdictional issues in the country concerned; the stock exchanges; the capabilities of investor-relations departments; and the level of international investor interest in each market. The assessments were made by The National over a six-week period. It finds that the UAE has sophisticated regulatory environment, highly developed financial infrastructure and a commercial legal system increasingly following rules of ‘international best practice’ are all viewed as the best in the region” by financial professionals. The IMF said UAE banking system is stable and resilient. There was no liquidity crunch during 2011-2012. Its banking and financial system was remained free from distress. IMF stress test shows that UAE banking system could address moderate external liquidity shocks with its own resources. Moreover, its foreign reserves would be sufficient to address even a strong shock scenario. Central bank has been rigorously introduced meaningful measures and reforms in the banking and financial systems since 2008-09. Capping of bank’s lending to government bodies is a great policy measure. The central bank limits banks to lending a maximum of 100 per cent of their capital base to government entities, with no more than 25 per cent of a bank’s capital to be loaned to any individual government borrower. It also imposed a 100 per cent limit for lending to federal and emirate-level state-related enterprises, with a cap of 15 percent for funded exposure to individual borrowers. The Arabian Business has issued a list which shows 14 UAE banks on the list of top 50 banks in the Gulf Cooperation Council (GCC). It is based on market value in which the highest ranked UAE bank is National Bank of Abu Dhabi, placed seventh with a market value of $8.71 billion. UAE First Gulf Bank, Abu Dhabi Commercial Bank, Emirates NBD, Emirates NBD, Mashreq Bank, Abu Dhabi Islamic Bank, Abu Dhabi Islamic Bank, Dubai Islamic Bank, Union National Bank, National Bank of Ras Al Khaimah, National Bank of Fujairah, National Bank of Fujairah has market value US$ 6.900 billion, 5.179 billion, 1.964 billion, 2.991 billion, 2.015 billion, 1.964 billion, 1.888 billion respectively. Energy diversification protects the long awaited dreams of socio-economic prosperity. It promotes stability and sustainability. It provides essential inputs of industrial productivity, generation of employment, reduction of poverty and above all promotes qualitative life and renewable/alternative energy is a value-addition. UAE government in its integrated the Abu Dhabi 2030 Plan and the Dubai Integrated 2030 Strategy has already suggested policies/programs and plans for achieving energy diversification targets in the days to come. Both strategic plans promote solar, wind, and waste-to-energy projects throughout the country. Under the Abu Dhabi 2030 Plan, the capital will be powered by clean technologies and alternative sources of energy, with an initial target of achieving 7 per cent renewable energy generation capacity by 2020. Concurrently, the Dubai Integrated 2030 Strategy targets a 30 per cent reduction in power demand and total energy consumption by 2030. Moreover, 99 per cent of Dubai energy production uses gas and one per cent using diesel, the energy strategy 2030 will reduce its dependence on oil and gas. Twelve per cent of its future energy could come from nuclear energy and another 12 per cent will come from coal-fired power plants, 71 per cent will come from gas and 5 per cent from renewable energy. Moreover, according to International Energy Agency (2011), the UAE will increase its renewable energy up to 7 percent by the year 2020. United Arab Emirates is now leading the region in the pursuits of future energies and technologies. There is no shortage of natural resources in the UAE which holds the world’s sixth-largest oil reserves and has the fifth-largest national gas reserve. UAE has been supplying energy, and has contributed to the growth of the global economy for over five decades. Moreover, UAE has become a global hub for future renewable energy and clean technology innovation and development. Economic energy experts estimate renewable energy targets in Abu Dhabi and Dubai alone will account for 2,500 MW of clean energy projects, and these are open to international investment and collaboration too. In recent years, the UAE is looking beyond hydrocarbons and is investing in new technologies and sources of power to diversify the local and global energy mix. Today, along with barrels of oil, UAE is exporting clean energy. According to official Arab data (October, 2012), the UAE needs to pump nearly $107 billion into energy projects over the next five years, in the Middle East and North Africa (MENA). So prospects of renewable/alternative energies are very bright in the UAE. Moreover, according to latest study of Oliver Wyman, a global management consulting, the UAE can reduce its energy costs by up to $3 billion (Dh11 billion) a year by 2030 through implementation of energy efficiency technologies. So, scope and growth chances of energy efficiency technologies are plenty in the UAE. Undoubtedly, the UAE is leading the GCC and Middle East and North Africa (MENA), in the development of future renewable energy. Its sincerity levels can be judged through its comprehensive renewable energy policies and diversified initiatives not confined to Masdar City, the world’s first carbon neutral zero waste city, the annual World Future Energy Summit, IRENA headquarters, the annual Zayed Award for Future Energy, creation of Department of Energy and Climate Change Affairs and environment-friendly legislations. 280 MW of thin-film Solar Eastern Germany	It has renewable energy projects and investments in the United Kingdom, United States, Spain, Germany, France, China and in the UAE. The company is also working in Afghanistan to provide solar power to hundreds of homes in isolated areas. it would also build a solar power plant in Tonga that would save over 47,000 gallons of diesel a year and avoid some 400 tons of carbon emissions. Nuclear Energy	Abu Dhabi is building four reactors in cooperation with a review board headed by Hans Blix. The project has full transparency, including waste disposal and protection against threats such as plane crashes	International Institute for Strategic Studies research report (2009) said the UAE has very valid energy reasons for wanting nuclear power: Continued booming economic growth and ever increasing and further energy diversification are the few important reasons of it. Dubai Solar Power Plant	Dubai launched a Dh12 billion solar project. It will have a capacity to generate 1,000 megawatts (MW) of power. It will be completed by 2030. It will provide five per cent of Dubai total power needs by 2030, using a range of solar power technologies such as concentrated solar power, stirling dishes, parabolic dishes and photovoltaic cells. Hydrogen Power Abu Dhabi (HPAD)	It is a 60:40 joint venture between Masdar and BP to construct the world first commercial scale hydrogen fuelled power plant, utilising fossil fuel feed stock and CCS	The project will take natural gas from the grid and convert it to hydrogen and CO.
UAE being strategic partner of Pakistan sent a strong message to NATO and the West on their air strikes in Pakistan’s mountainous check posts. UAE demanded apology from the NATO with the promise not to repeat it again in the future. 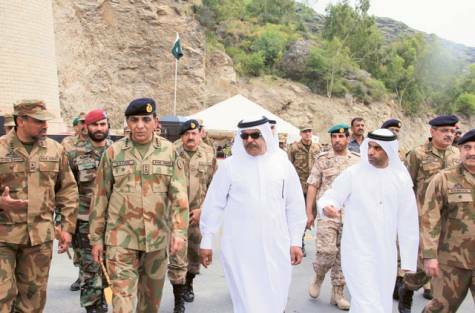 UAE appreciated Pakistan role in the war against terror as front line state. UAE reassured the supply of humanitarian assistance to the government and people of Pakistan in the post-flood period. UAE also appealed to international community to support the people of Pakistan in order to alleviate their sufferings caused by the recent deadly flood in the country. Most recently, UAE government airlifted Malala Yousufzai and saved her life. UAE played an important role in the formation of Friends of Democratic Pakistan (FoDP). Initially, UAE pledged $ 300 million. UAE arranged many meetings at ministerial levels. It hosted many public-private conferences in the country to extend its support to Pakistan. Time and again, UAE government reaffirmed its support to Pakistan to overcome its macro-economic difficulties. 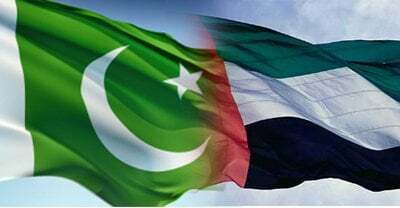 Pakistan and the United Arab Emirates (UAE) enjoy cordial and harmonious relations marked by mutual respect for each another. Extremely close and fraternal relations, founded on deep-rooted cultural affinities, shared faith and traditions, as also geographic proximity and identity of interests have further strengthened the bilateral relations between the two countries. UAE supported Pakistan in its times of crises to gain political as well as economic stability. UAE also extended its expertise and resources to cape Pakistan’s looming power deficit. Pakistan was the first country to accord formal recognition to UAE on its achieving independence while bilateral relations and mutually beneficial cooperation have progressed steadily ever since. Bilateral relations started date back to the UAE’s formation in 1971, and have since evolved into wide-ranging cooperation, particularly in economic field. According to different reports of the Chambers of Commerce of Pakistan, Investment Board and State Bank of Pakistan, UAE is the one of the largest economic and trading partners of Pakistan and has been a major donor of economic assistance to Pakistan. A large number of Pakistani expatriates are working in UAE and they have contributed significantly to the promotion of bilateral understanding and to the economy of Pakistan through their record home remittances during 2011-2012. Trade between the two countries is on the rise as trade volume which was $1.4 billion in 1999-2000 increased to $2.8 billion in 2004-2005 and reached to $5 billion in 2007. It crossed $7.6 billion in 2010-2011. 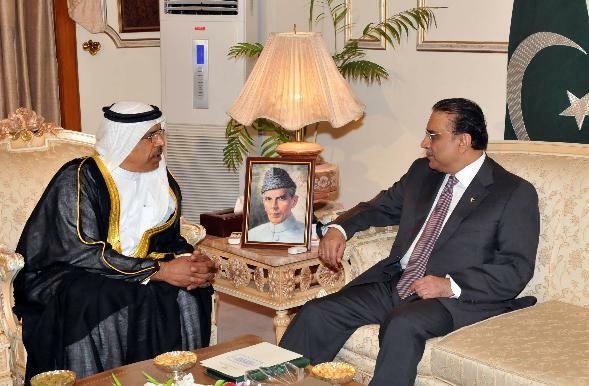 Government of Pakistan highly appreciated the role of UAE investors in promoting Pakistan’s economy. More than 27 companies are operating in various sectors in Pakistan and playing their positive part in the macro-economy. Etisalat, Warid, Wateen, Bank Al Falah, Dubai Islamic Bank, Emirates Global Islamic Bank, Al-Ghurair Giga, Emaar etc. have made more than $21 billion investments in Pakistan’s telecom, banking and construction & real estate industries respectively. UAE also invested in the fields of airlines, financial business, hotels and agro-based industries. Many Pakistani investors have also invested in UAE, particularly in real estate and construction sectors, which shows that business to business relations between the two countries are increasing between both countries. According to the data of SBP and Board of Investment (BOI), the UAE is the 2nd largest biggest investors in Pakistan. Pakistan offers extensive opportunities for investment in infrastructure development, electricity generation, water desalination etc. Exports	Petroleum, petrochemical products, iron ore, scrap-plastics, chemical products, non-ferrous metals-machines, spare parts of cars, ships and boats. UAE had played an important role in the rehabilitation of flood affected during 2010-2011in the different parts of Pakistan. The government of Pakistan highly appreciated its active role of UAE in the ongoing public welfare projects in the country.. UAE played remarkable work in 2005 when the country was deadly struck by devastating earthquake. It was one of the first countries to extend humanitarian assistance to Pakistan. Teams from UAE Military Relief Force, charitable foundations and organisations played dutiful role in the rescue, distribution of supplies and rehabilitation of victims of earthquake and floods through lengthy operations carried out by Chinooks helicopters in the most flood affected regions of Punjab, Sindh, Khyber Pakhtunkhwa and Balochitsan Provinces. It is hoped that UAE Red Crescent Society office in Pakistan would help in further expanding the human welfare works. Upon the directives of H.H. Sheikh Khalifa bin Zayed Al Nahyan the President of UAE, the UAE project to assist Pakistan was launched in January 2011 at a total cost of US$100 million for the reconstruction of infrastructure damaged by devastating floods and natural calamities in Khyber Pakhtunkhwa province, Bajaur and South Waziristan districts of the tribal belt to provide better life to the people by creating jobs. The Project focuses education, public health, roads, bridges and supply of water treatment plants and networks. More than 80 percent of the work has been completed. Mr. Abdullah Al Ghafli, head of the Project, states that the projects are progressing on schedule and work has already covered 98 per cent of 51 educational projects, and 85 per cent of 64 water-related projects. Khalifa City, including 210 houses, two separate schools for boys and girls, a clinic and a mosque, at an estimated cost of Dh12 million has been completed. 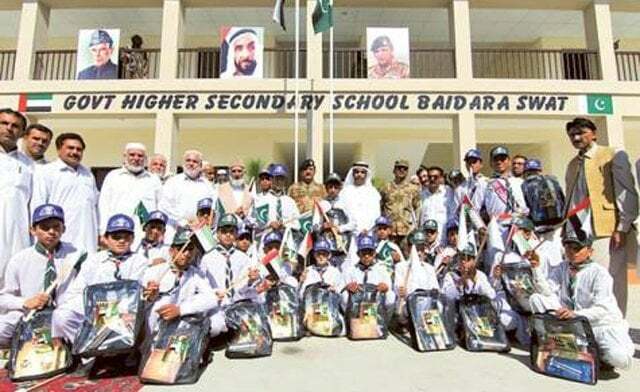 It completed forty schools which would help thousands of children back to schools in the province. It is expected that more than 21,000 boys and girls would benefit from it. These schools and institutes in different parts of Swat were handed over to the concerned authorities. Under the preview of UAE projects to assist Pakistan the Khalifa Bin Zayed Bridge, was built in the Swat region to link a large number of cities and villages on the two banks of the Swat River. It is 330 metres long, 10 metres wide and 6 meters high. It accommodates more than 5000 vehicles a day will serve 70000 people in the Khyber Pakhtunkhwa province north-west of Pakistan. In December 2011, UAE and Pakistan had signed an agreement to implement a number of healthcare projects in Pakistan. The agreement called for a number of projects in support of the healthcare sector in Pakistan, including construction, refurbishment and maintenance of 7 hospitals and clinics, that included two model hospitals; the Shaikh Khalifa bin Zayed Al Nahyan Hospital and the Shaikha Fatima bint Mubarak Hospital, to be built in Khaibar Province at a total cost of AED 63 million. Al Ghafli said that the Shaikha Fatima hospital will primarily be dedicated to treat women, children and the elderly through provision of modern health care facilities to the people of the region who suffer from higher mortality rate among women and children due to the lack of adequate healthcare infrastructure. Most recently it announced the completion of vaccination campaign in Khyber Pakhtunkhwa province of Pakistan in which 20,000 children were vaccinated against measles and polio. During the said campaign five health centres were established in Khyber Pakhtunkhwa province and around 60 doctors and nurses worked round the clock to administer vaccine to children and school students who came in great number. Abdulla Al Ghafli the Director of the “UAE project to assist Pakistan” also initiated a noble progamme on the eve of holy month of Ramadan. A consignment of 160 tons of flour bags were transported to KPK, and distributed among the poor families of internally displaced persons in North Wazirstan and South Wazirstan. More than twenty thousand poor families were benefited from the said project. 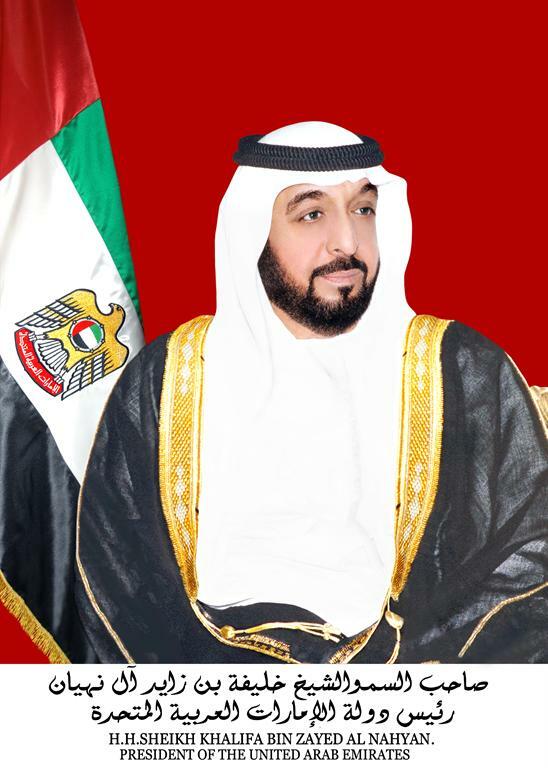 On the directives of the His Highness Sheikh Khalifa bin Zayed Al Nahyan, the President of UAE several institutions and charity organizations including the Red Crescent in collaboration of the Embassy of UAE, Islamabad hosted series of iftar programmes in the holy month of Ramadan in different place in the country at large scale. It has been one of the highlights of annual programme in the country of the UAE charity organizations and the Embassy. It served the underprivileged segments of the society in different places in Pakistan and enabled them to rejoice with the true spirits of the holy month of Ramadan. Supply of foodstuff, canned meals, and distribution of fresh dates, alms and clothes to orphans children and vulnerable strata were distributed. 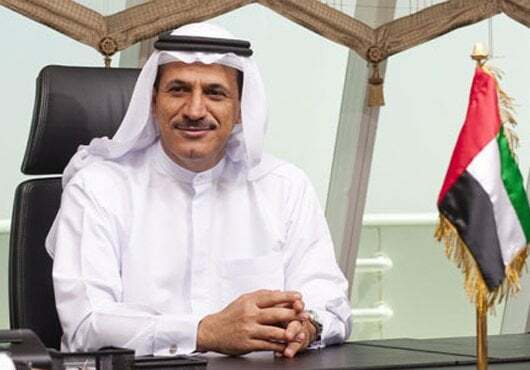 The UAE Ambassador in Islamabad Abdulla Al Basha Al Noauimi distributed a large quantity of fresh and delicious dates among the needy and poor families in the country. At least, 50,000 tons of dates were distributed across the country as one of the integral part of its ongoing iftar programmes. It was sent by UAE Red Crescent. A delegation from Khalifa Charity Foundation specially came to Pakistan for the distribution of 20 tons of dates and thousands of flour bags in some districts of Southern Punjab and Balochistan. The iftar programmes were held in orphanages, welfare homes, schools, community centers, special persons, elderly and the last but not the least, deserving people. The UAE organizations showed great care to patients and pre-medical staff in ploy clinic, PIMS Islamabad, holy family and district hospital Rawalpindi. United Arab Emirates has achieved high standards in all sectors of economy and production. It has liberalized its economy to attract more and more investors. It provides all possible facilities to businessmen due to which it has become hub of FDIs in the region and as well as world. Visionary leadership and its balanced and dynamic foreign policy is the driving force of socio-economic transformation. Its 3Ds foreign policy has been instrumental to achieve national consensus, and avoid political divide in the region. 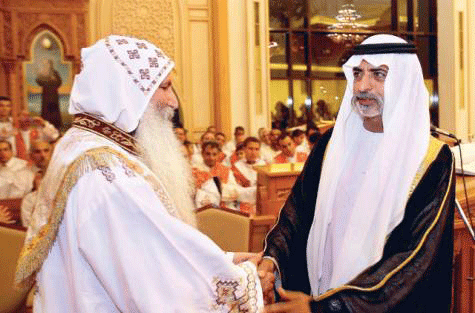 Secrete of the UAE social tolerance, peace and co-existence rests on its interfaith harmony policy. UAE is a dynamic country which has tolerant society. In the times of regional widening and international division on the basis of faith and religion, UAE provides an ideal platform for achieving sustainable interfaith harmony. It stands beacon of light in the siege of darkness, of prejudices, narrow-mindedness, hatred, and cleansing.